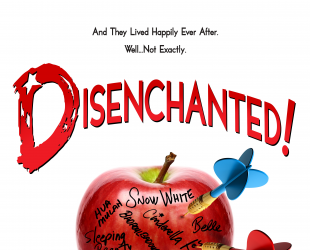 "Disenchanted" is a tantalizing musical comedy revue for grownups with book, music and lyrics by Dennis T. Giacino. Its aim is to blow away the fairy dust from contemporary movie versions of ten famous princesses and to let them set the record straight about how they really feel about their treatment as women by these films. It provides an intense catharsis for parents and grandparents who would really like to drop those often watched films off a local bridge! Need we mention it has a PG13 rating. performances on Saturdays, Sept 15 & 29; Friday, Sept 21; Tuesdays Sept 18 & 25 (all at 7:30 pm), and Sundays, Sept 16, 23, 30 at 2:00. It is sponsored by Susan Muscari, Attorney and produced with assistance from the Oklahoma Arts Council. "After multiple sold-out runs nationwide, these royal renegades tossed off their tiaras" said a reviewer at the Hartford, CT production. The New York Times called it "Funny and a touch wicked." "Disenchanted" was nominated for a 2015 Outer Critics Circle Award for Outstanding Off-Broadway Musical and a 2015 Off-Broadway Alliance Award for Best New Musical. "One part of our mission" says Karon Wheat, Playmakers' Board President, "is to create an interplay between art-makers and audience members. Our recent youth production, "Nightingale," urged audience members, young and old, to participate with the cast in various scenes. 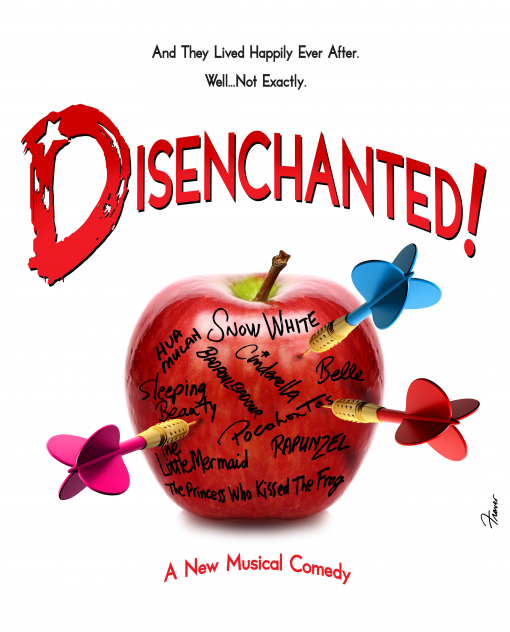 "Disenchanted" is the type of musical revue best performed in our intimate theatre and with its cabaret setting and some theatregoers sitting on the stage, it can certainly create a different kind of enjoyable interplay." The host princesses are: Snow White, brassy, sassy and leader of the pack, played by veteran triple threat Ashley Davidson; a slightly ditzy but enthusiastic Cinderella performed by first time triple threat Jennifer Cunningham who also becomes Rapunzel as a Mel Brooksian, Wagnerian singing monster; and a cut-up, flippant and saucy Sleeping Beauty featuring a normally dramatic actor Dodi Manley Duffield who also doubles as the exploited Pocahontas. Joining these original Grimm, Perrault, and De Villeneuve original fairy princesses are: the rebellious, jaded Little Mermaid performed by Madelyn Norris; Hua Mulan, full of conflicting feelings, played by Hayley Dozier; Belle, driven crazy by all those singing and dancing objects, played by Amy Adams and doubled by newcomer, Myah Cearley, who also portrays the spunky but underrated Princess Badroulbadour; and the feisty storybook diva, the Princess Who Kissed the Frog, featuring new-comer Danica Rowe.